The Answer Wood Stove is a beautiful small stove built with heavy-duty, high quality construction. 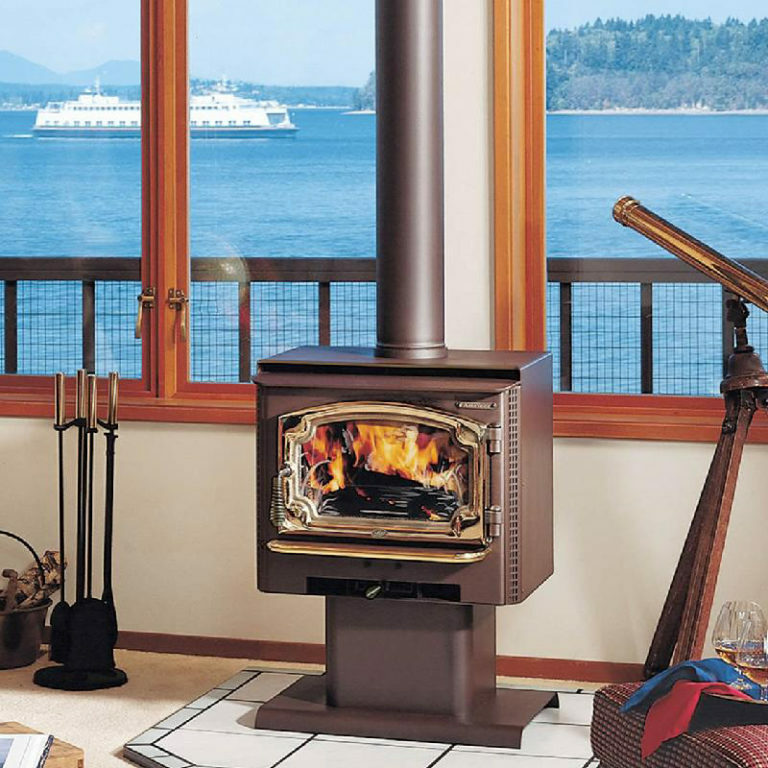 This wood stove uses a five-sided convection chamber to distribute heat evenly throughout your home. Cool room air is naturally drawn around the hot firebox, heated, and returned back into the room without using a convection fan. The Answer’s 1.6 cubic foot firebox is large enough to hold an 18″ log, offering longer burn times with less reloading. This wood stove is also alcove and mobile home approved.